New guidance on the prescribing of buccal midazolam products has been issued by the Welsh medicines assessment body. The All Wales Medicines Strategy Group (AWMSG) has highlighted the importance of prescribing Buccolam (buccal midazolam) by brand name to reduce the risk of medication errors. 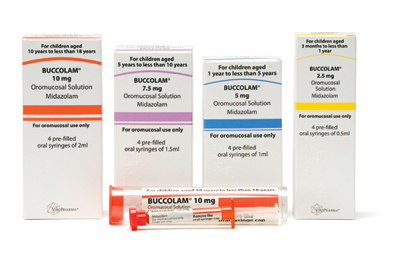 Buccal midazolam is approved for the treatment of prolonged, acute, convulsive seizures in children aged between 3 months and 18 years. It has anticonvulsant, sedative and muscle-relaxant effects. Treatment of infants 3–6 months of age should take place in the hospital setting, where monitoring and resuscitation equipment is available.